Now that the January cold weather has well and truly arrived, it’s time to think about lovely warm pajama pants for those cold winter evenings. 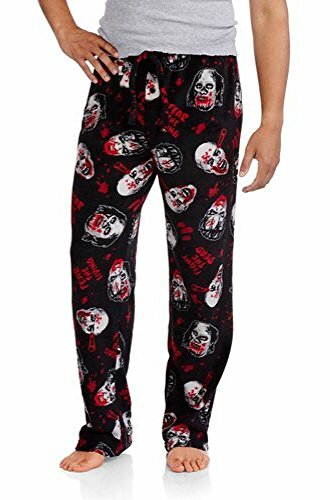 Whether you’re lazing in front of the TV or playing your favorite video game, you going to need some awesome pajama pants to keep warm this season. 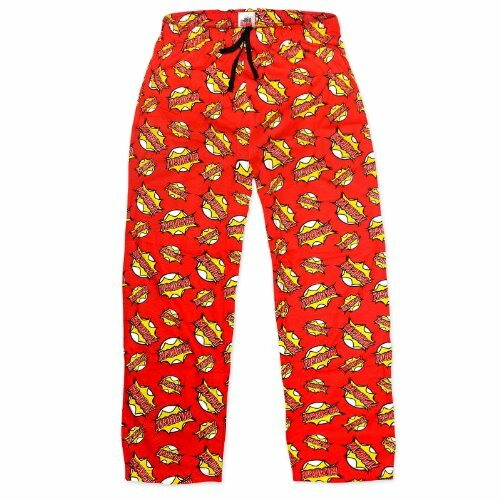 There are loads of really cool pajama pant prints and designs to chose from too so there’s bound to be something here to fit your style. If you’re a big fan of the Harry Potter movies, these House Print pajama pants from Thinkgeek are available in all four of the Hogwarts Houses – choose from Slytherin, Hufflepuff, Gryffindor or Ravenclaw. If you don’t have a favorite House then the Daily Prophet headlines print might be more your style. 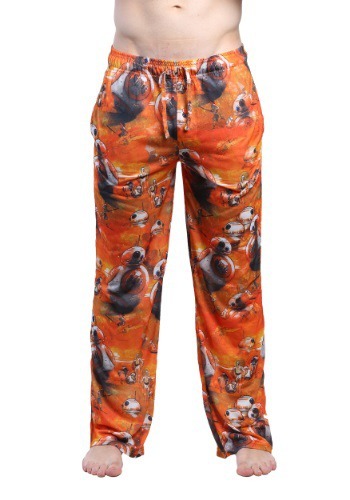 Star Wars themed pajama pants are very popular and there are loads of styles to chose from. All the usual characters are available including Boba Fett, Stormtroopers, Chewbacca and of course, Darth Vader but there are also less specific Star Wars themed pajama pants too. The spaceship design includes line drawings of the X-Wing and the TIE Fighter on a dark background and the Force Awakens design has comic book style illustrations of scenes from the movie. 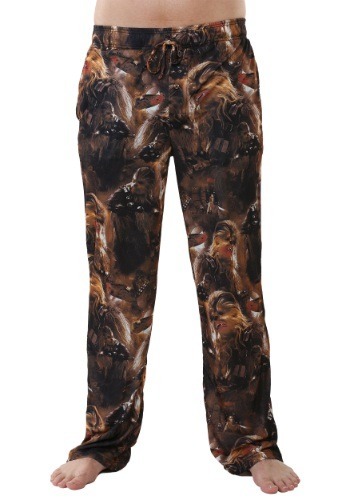 For the Doctor Who fan, there are three different pajama pants designs available – the Tardis design is well known but the Don’t Blink pajama pants feature the evil Weeping Angel from the episode of the same name and look awesome! 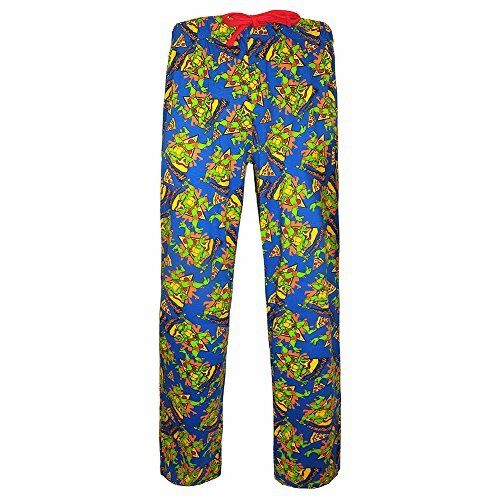 Superhero themed pajama pants are also very popular with lots of the best known superheroes featured in the designs. You can choose from Batman, Superman, Captain America or a Funko style Green Lantern here. 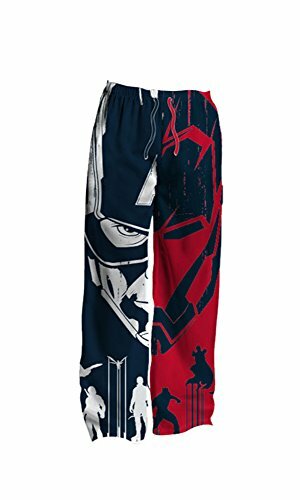 There’s also some lesser known superhero themed pajama pants too – Guardians of the Galaxy and Transformers are personal favorites! 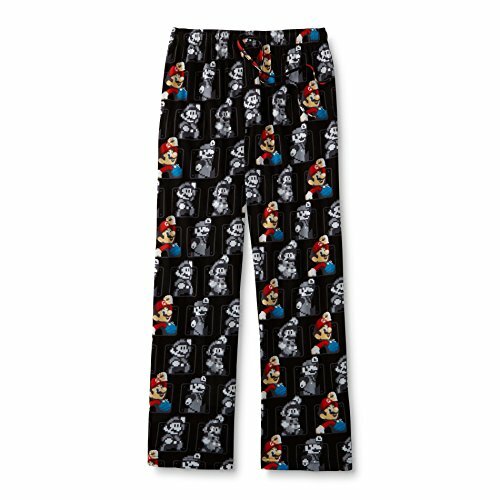 If you need awesome pajama pants as a gift for a gamer then look no further than these Super Mario Bros or Legend of Zelda pajama pants. 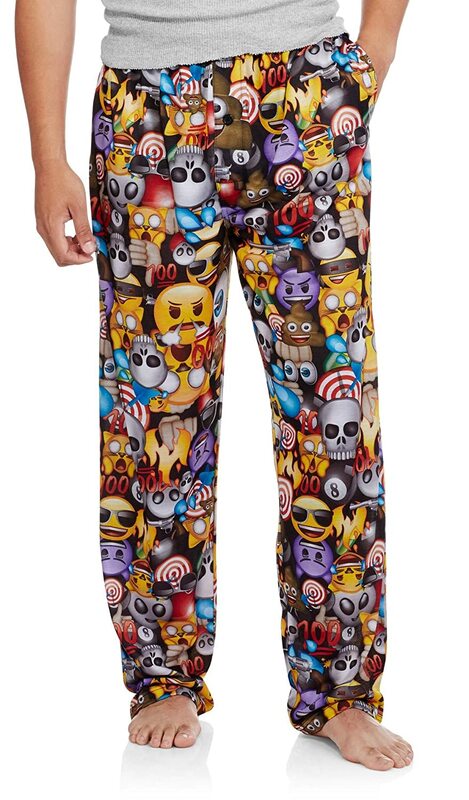 All three of these pajama pants are 100% cotton so would be perfect for Spring and Summer wear. 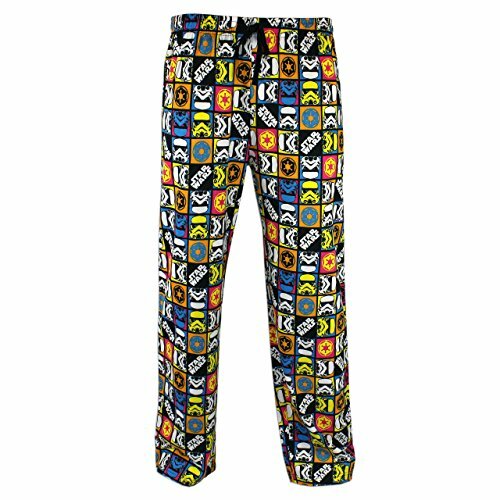 There are so many fun and colorful pajama pants for men available that it was tough to choose just a few to show you. 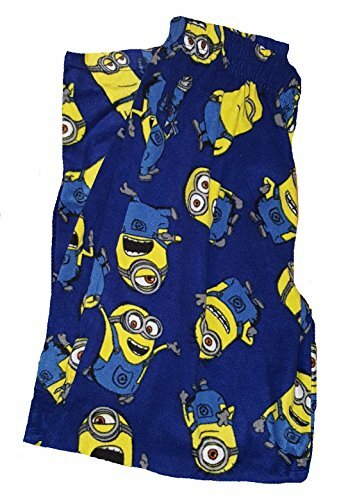 In this miscellaneous section, you can chose from game themed pajama pants with the Nintendo controller design, internet humor with the Emoji print design or chose your favorite movie or TV show with the Big Bang Theory or Minions design pajama pants. 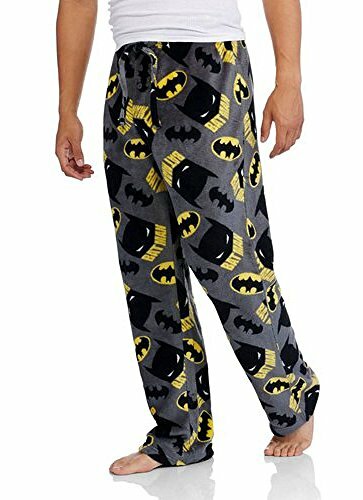 Hopefully you’ve found your perfect pajama pants in the selection above but if not, check out our Fun One Piece Pajamas post for even more great warm pajama ideas! Ladies! Don’t feel left out – there’s more great sleepwear gift ideas coming soon.